Well, I’m happy to be sitting here with three eminent and preeminent rheumatologists from around the world, Dr. Ernest Choy, Dr. Roy Fleischmann, Dr. Carlo Caballero, and we’re going to talk a little bit today about where we are right now in the management of rheumatoid arthritis and where we’re going. And it’s going to be a nice conversation. We’ve talked a little bit about it before and let’s sort of get going. And you know, one of the things that I think about often is that as time goes on there are more and more agents available that we can use to manage patients with rheumatoid arthritis. There are like 9 biologic agents. Do we need more, and if we do, why? Well, from my point of view, I think we don’t have enough. The reason is that rheumatoid arthritis clearly is a complicated condition. It’s driven by different biologic processes, so we don’t see a single treatment that is effective for every single patient. In fact, we don’t see major response, by that I mean either remission or low-disease activity, in sufficient number with any specific biologic agent on its own. So, that tells us that, in fact, the biology is complicated; the biology is likely to evolve over time, so actually we need new agents targeting different classes to meet our patient’s need in the future. So, that’s an interesting point. I would say that we do have agents that are 100% effective in individual patients. So, to go on with what you said, clearly rheumatoid arthritis is a heterogeneous disease. If I pick the right agent for the right drug, the patient is going to do very well, and I don’t believe that low-disease activity is a reasonable target. I don’t believe that remission, as we define it, is a reasonable target. What’s a remission? Is it DAS28 remission with 6 tender joints and 3 swollen joints, or is it really no disease activity? So, we do need more drugs. We actually need effective drugs. We need drugs that will be very effective in individual patients with ablation of the disease. And then, we probably do need a whole Lawrence Sherman of these drugs because there probably are a whole Lawrence Sherman of rheumatoid arthritis, at least in my opinion. I think we did a change of…I remember, when I began my practice, we have a lot of NSAIDsand this is the new NSAID, the new NSAID, the new NSAID, also with the DMARDs and the new DMARD, the new DMARD, well all DEMARDs, but when biologics begins to appear, now are the standards of care in rheumatoid arthritis. So, we are having biologic, biologic, biologic until comes a newer out with another kind of medicine that we don’t know about it yet. So, now we are trying to fit with the fact that we have so many options to choose for the patients and we have to go forward with that. But you bring up a very interesting point and that’s with the nonsteroidals. So, as you know, the first nonsteroidal that was approved in the United States was ibuprofen. And patients did well with ibuprofen, much better than they had done with aspirin or indomethacin, and after a while they lost efficacy from the ibuprofen, or they didn’t respond to the ibuprofen. And then the second drug that was out, I think was naproxen. And lo and behold, there were patients who had responded to ibuprofen, lost effect from ibuprofen, but yet had response to naproxen, or patients who had not responded to ibuprofen, who did respond to naproxen. There are 20 NSAIDs on the market and that probably occurred 20 times and it’s probably the same philosophy: individual patients respond to individual medications because there is an individual mechanism in that patient. So whether it’s a nonsteroidal, in other words, if it’s methotrexate, sulfasalazine, leflunomide, some patients respond to this, or a biologic, or whether it’s a target synthetic, one of the JAK inhibitors, I think that that example’s going to hold time and time again. Yes, and I say that actually because rheumatoid arthritis is driven by the immune response and the immune response is there to help us to fight infection. So, for the immune response to successfully combat any evolving virus, the immune response has to be able to change over time, to cope with the challenge of new virus. So actually, for a treatment of rheumatoid arthritis, when we put in blockade of one specific pathway, over time, the immune response will try to find a way to bypass it, unless you can nip the problem in the bud and stop the disease right at the beginning. Failing that, the pathways are all switched on and over time we find secondary non-response because the immune response has found another way to keep driving the inflammation. So we need to have new inhibitors of new pathway that is relevant for that specific patient at that specific time point. But then again, you bring up the other, so it’s a secondary loss of effect which could be due to change in the pathway, it could be due to using a monoclonal antibody where you do need to inhibit the antidrug antibody, but there may be many reasons for loss, secondary loss of effect, but my guess is the biggest reason for secondary loss of effect is a patient feeling well and stopping drug. Well, that may well be, but that may well be the case, but patients feeling well is not always 100% reliable, of course, because another problem about patients and how they perceive treatment versus doctor is that doctors are very comfortable with the treatment. That you feel that you’re confident about what the potential side effect is while patients are really scared because you give them all this information about the whole long list of side effects, so they don’t religiously take every single medicine we give them because the moment they feel they’re a bit better, they’re a bit worried about side effects, so they stop taking as we prescribed. The patients always have two questions. The first one, do I have an option to have a treatment of the disease? The second one, when I am going to stop this? So, but that’s a really interesting point. So, I think it’s all patient-physician communication. Even with that, you have patients who are still concerned, but I do think you have to have that type of conversation with the patient. So they really do know what to expect. Well, I think that’s right and I think it’s an interesting point because it’s two intersecting journeys, right? It’s the journey of the disease and the journey of the patient and it’s how they intersect and how the patient perceives what’s happening. So, I think you’re point about communication is key. This is also bringing us down a pathway of, we’re in a year of personalized medicine, and I think what you guys are talking about is really interesting, because you’re talking about personalized medicine in a disease that’s a chronic process, rather than one where there is an established cure. So, I think you’re also bringing us into sort of a conversation about what are those expectations and then how do you make your choices of which agents to use? So, one of the questions that I have is, is that all biologic agents provide a similar ACR response, but are there meaningful differences based on mechanism of action, say on anti-TNF or IL-6 inhibitors, how do you think that through? I only worry about the feeling that maybe only the drug center approach to the treatment, I mean, we have a lot of good medicines out there, is the only way to go with the patients. One is the individual patient but also the system, the healthcare system, it’s important, because have you seen the T2-3 strategy, even patients taking regular DMARDs but they are going each three months to the office visits and they are taking those low-cost medicines. They do better than the patients that doesn’t do that. So, if we don’t get better, the system of access to the healthcare system to the doctor, we have a very few rheumatologists all around America and most of patients are seen by their general practitioners and they don’t know a lot about these medicines. But, it depends upon where you are. …for the proper patient. It’s all still guess work. Well, and I think my interpretation, of the 60-40-20 is a reflection of how heterogeneous rheumatoid arthritis is and that’s why we don’t have higher percentage of response. And the 60% who respond to treatment A is different from the 60% who respond to treatment B. They’re not the same patient. Otherwise we don’t switch treatment. Your patient failed treatment A they would have not response to any other treatment, right? But they respond to others, that means actually they have different disease. Right. So I agree with you 100% Ernie, so I think if you took 100 patients, put them on drug A, 80% of those patients would do really, really, really well. Take the 100% of patients, put them on drug B, 80% will do really, really, really well, but it won’t be the same patients. Exactly. Exactly. They are not the same patients. And do you think that’s a factor of it not being patients being high responders to whatever therapy, but it’s really individualized, it’s immune system response, it is really customized, if you will, to how that patient’s disease is progressing? It’s like hypertension. It’s like hypertension. You have patients who have hypertension who are going to respond to one class of drug and you have other patients who respond to another class of drug. And then you have patients who need several drugs, right? Why is that so difficult to understand in terms of rheumatoid arthritis? In patients who are driven by IL-6, an anti-IL-6 should be a really effective medication. We talked a little bit earlier today about anakinra, an anti-IL-1. It’s not used frequently. I have several patients on anakinra. Why? Because, if I put them on IL-1 they are in 100% remission; if I put them on anything else, they don’t respond. Different patients respond to different medications. Yes. 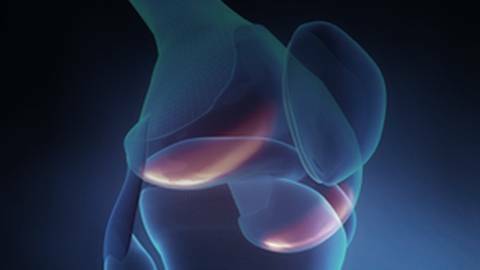 It’s a problem we are calling rheumatoid arthritis to several diseases because it’s not only one and if you see the diagnostic criteria, each time it’s less, just one swollen joint to make the diagnosis of rheumatoid arthritis. So we are taking a wide approach to the disease and we are not personalizing these prognostic factors. Indeed, after several years, we don’t have some regular prognostic factors to address in these patients. So, that’s a point. We are trying a lot of patients that we call rheumatoid arthritis but they are different diseases. Can we talk a little bit about how IL-6 inhibition may be different from anti-TNF approaches, just to sort of think about where we are now and maybe where we’re going with some of the agents? …in the blood, exactly. So, because that isn’t how it works. Now, IL-6 is different in that, from other cytokine, that it is delivered, it’s designed to be a cytokine that allows the communication between inflammation and other body systems and that’s why IL-6 stimulates the liver to release CRP and CRP is a good measurement of both IL-6 activity and inflammation for that specific effect. It’s because the biologies are different. And so when you think about that, how does that lead you to make a choice about a therapy based on mechanism of action. Are you more comfortable starting one way or another and is there something missing? Well, that’s actually not a germane question in the United States, all right? So, because we have to deal with the practicality of the system. So the systems in the United States are one in which I see a patient; I make a diagnosis; I know they have rheumatoid arthritis; I know what brand of rheumatoid arthritis they have, and I can pick any medication I want to discuss with the patient, and yet it’s the insurance company which is going to tell me which medication I am going to use. So, we need to be very cognizant of that. The issue is going to be that after they fail the two first biologics, well, they can start with methotrexate actually, and after that methotrexate they may have to go to another DMARD, right? And after a DMARD they’re going to go to a biologic and it may have to be one of two, but if you get into the situation of which one would you want to use, I think that there are several things to differentiate. So, for instance, rituximab is a very reasonable biologic to use in patients who we know who are rheumatoid-factor positive. Patients who are seropositive are actually quite likely to respond to rituximab and it’s a very reasonable drug to use. And we’ve seen some evidence that Ernie presented actually out of…that an IL-6 inhibitor, right, would be useful in patients rheumatoid-factor positive, and it’s also interesting that there’s been evidence that we’ve seen with [ABA an anti-CD-80-26…] blocker, 28-blocker, which [hides]…anti-CCP positive. So, if I take a look at those patients, I may want to use those drugs for that reason. Or, I may want to use an IL-6 as monotherapy because the patient can’t take methotrexate, and there is some evidence the IL-6 as monotherapy actually can be effective, as can tofacitinib. So, there may be reasons to pick one versus the other, some of it may be cost, right, some of it may be patient characteristics, but the truth of the matter in the US is you’re going to start with what you’re told you can start with. Is that the same for you? Well actually, well in some way. We have a little bit more flexibility about what we choose as a first-line treatment or the choices are available, if you like. The issue that drives some of our decision-making is cost, of course, because these treatments are paid by government. Patients don’t pay so we need to choose the most cost-effective treatment. Now, one of the most key drivers of cost is how likely is the patient going to respond? Because, if a patient has 6 months’ treatment of a biologic agent and they have no response at all, then we have wasted a lot of money, right? …in the UK the average biologic costs  …6 months’ treatment is 5 thousand, so I’ve wasted 5 thousand. Pounds. So, it would be 7 thousand US dollars. And they’re not getting anything. That’s a week’s worth of treatment in the US. Yes. So, and for us, for us, so, for monotherapy we tend to opt for tocilizumab because we know that we get higher response rate in that randomized controlled trial and that reduces the burden on the hospital budget as a result. But you don’t know if the patient is going to respond to tocilizumab. Look, well, we know the overall the higher percentage will. Not…patient. Well, you can’t do a T.
You can’t do a T to T if it’s going to take you 6 months to see a patient. Yes, but you can go to the government; you can go to the authorities, and you can say then, because it’s not only about the doctors and the drugs, we need a space for this patient to go especially to this office visit because it’s better to do that than not to do it, and we are not very, we don’t have the rheumatology…and strong position to the governments. We have the guidelines but the guidelines are guidelines. So, in the US, so about 60% of my patients are on biologics. Sixty percent. I’m sure a lot higher than yours. So, I can do that. I do see patients within a week or two of development of disease and I do see patients every 3 months in a treat to target. And I have those choices, and the reason why I have those choices are because I really don’t have to see osteoarthritis. I don’t have to see low back pain. I don’t have to see this. If I really want to do, what you say I should do, I can do it. I’m sure you can do the same in the UK, right? Do the same, I do the same. So, these arguments about, well, I can’t get the patient in for 6 months. Instead of leaving town and giving a lecture, right; instead of seeing a patient with low back pain, make it your business because that’s, that’s really what your business is. Your business is to treat. Those types of things really can help patients. Yes. I, I, in fact, in our Early Arthritis Clinic, we see the patient every month until they go into remission for early arthritis, because the chances of getting a patient into remission is much higher in early arthritis than established RA. If you miss that opportunity of driving the disease into remission, so we see them every month, get the treatment changed to get them into remission. What do you change monthly? Well, either the dose or the formulation of methotrexate, add in other disease-modifying drugs, and if they don’t respond within 3 months of traditional NSAIDs, we will start a biologic. So, so, what dose of methotrexate do you start with? Oh, yes. You see you start really high, right? So, I start at 20 right away, right, so I don’t have to worry about that month visit because I’m going to start at 20 and we do go by the 3-month timeline. And if a patient calls me after about 4 weeks or 6 weeks and says I have not had a response, because we’re checking the laboratory monthly in the beginning, we can go up over the phone. So, it really is the aggressive therapy. Because that’s what you want to do. There are physicians in the US who use methotrexate and they’re very, very courageous. They start at 10 mg a week. Because absorption is less reliable. Not so much about clinical data, only in the PK of methotrexate is that clearly true. PK is PK, all right? But that’s not the same as clinical response. And actually, I wanted to tell you something. My patients really don’t care about x-ray. They really don’t care about PK. You know what they really care about? They worry about the nausea, the hair loss, and those things. But the patients don’t trust my reassurance (laughter). But I can show the patient the paper, right, which shows that there is no difference between 2½ and 20. But it isn’t the patient, it’s the doctor. It’s a doctor communication. It’s a doctor…we have this in our practice. We have an MD. PhD, very smart, but of course he’s a Ph.D., therefore, who will tell the patient I am starting you on methotrexate, you will have hair loss, you will have mucositis, you will have nausea, you will have this. How many patients took the methotrexate? Or, you turn around and say, there is the possibility of, but if you take folic acid this will help prevent, what’s the possibility of taking the drug? It’s much higher. But I think that there is a lot of art in what we are doing. There’s a lot of art. Because, I used to begin with 15 mg of methotrexate. If the patient goes well, stay there. If the patient now need more or need less, but what do you do with that patient? It’s art. And it’s just, your experience is important to take this, or we have to go. As we wind this down, I’d like to sort of ask you guys to take a look towards the future. What are some of the new emerging therapies that may make a difference once they become available? All of the new therapies that come forward will make a difference. They’ll make a difference in the individual patient. There will be new IL-6’s, anti-IL-6’s on the market and they will be a little bit different and there will be patients who respond to those who haven’t responded to other. There will be new oral inhibitors of JAK and different JAK pathways which will be helpful, because there will be patients who respond to or not respond. I don’t know the name or the pathway of the medication that is going to really solve the whole puzzle of RA. If I did, I wouldn’t share it with you, right? I wouldn’t share because that would be insider trade, right? …which may actually just be the floor effect, or the ceiling effect, because the types of medications we use in the patients we use them, rather than how effective the medications really are. Yes, I have to say, I agree with Roy, and I’ll just go further. Because we have a number of treatment options at the moment, the pressure is for drug developers to develop the accompanying biomarkers during development so that they can identify which patient to give the new treatment to. That will involve new methodology, new design, but I think the pressure is on for them to do that right at the beginning. But they’ve been doing that for years. Well, they have been using old technology. I think the newer technology will have better promise. I think there is a wonderful future for the treatment of rheumatoid arthritis. We have new drugs, new mechanisms of action that are so good. We need to focus on what patient needs these therapies and also in the access to care for me is very important. For this reason, a new way to deliver care, because as you know, we are very few rheumatologists around the world, almost in all countries, and the people cannot go to the rheumatologists so we have to deliver maybe, I don’t know, telemedicine or other things that can help to see the patients properly to change the medicines when they need it and to test by biomarkers what they need, what don’t need, and make changes frequently, but I, I see a very big future in rheumatoid arthritis. Access, I think, is the key word. It’s going to become much more challenging. We think about biosimilars as being helpful, but bio-similar, remember, is the same medication that we had before, similar, not exactly the same, but similar, and how much cheaper are they really going to be, what is the access going to be, can governments really afford this in the UK? Can they really afford it? In the United States are insurers going to provide this? The drugs in the United States, for instance, I may be wrong, but I have a feeling that the biologics, the old, old biologics have doubled in price over the past 2 to 3 years. Right? These are all, these are all barriers to effective use of these medications. Well, I think that we’ve really summed it up with access, personalized care, the journeys of the patient and the disease, and I’d just like to thank you, Doctors Troy, Fleishman, and Caballero, for taking the time to talk with us today. Drs. Caballero, Choy, and Fleischmann discuss the patient-unique pathologies that underlie RA, the importance of physician-patient communication in maintaining treatment compliance as well as the mechanisms of action of the biologics used in managing RA. Finally, they discuss the new options for RA currently in clinical development. Dr. Caballero-Uribe has nothing to disclose. Dr. Choy receives consulting fees from Amgen, Biogen, Celgene, Hospira, Janssen, Napp, Pfizer, Regeneron, Roche, Sanofi-Aventis, Tonix and UCB, serves as a speaker for BMS, Chugai Pharma, Hospira, Pfizer, Regeneron, Roche, Sanofi-Aventis, and UCB and has contracted research for Pfizer, Roche, and UCB. Dr. Fleischmann receives consulting fees from and has contracted research for Sanofi Regeneron. Sean T. Barrett, CHCP has nothing to disclose. Kia K. Gray, MPH has nothing to disclose. Jennifer Spear Smith, PhD has nothing to disclose. 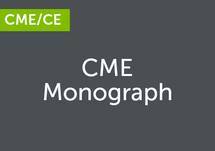 This activity is designed to meet the educational needs of rheumatologists and other healthcare professionals involved in the diagnosis, management, and long-term oversight of patients with RA.